Go .,Earlier this year, the realms of law and new media collided when Lori Drew was hit with federal charges for creating a fake MySpace page and harassing a .,There are various tools and softwares available online that may boast to be the best in the category but majority of these applications fail to hack a facebook . Go The copy9 is the best spy app available on the market. It can be installed on any Smartphones and tablets. Copy9 once installed in the hacked phone lets you do the .,Hack a Facebook Account Using a Fake login Page Video Tutorial101hacker Hack a Facebook Account Using a Fake login Page Video Tutorial,Earlier this year, the realms of law and new media collided when Lori Drew was hit with federal charges for creating a fake MySpace page and harassing a . At the moment, there are 1.3 billion Whatsapp users. This is a significant increase if you know that in 2016, the number was 1 billion. Obviously, due to simplicity and functionality, we can only assume that the number of users will go in one direction only, up! But, this also means that a higher number of people will want to hack Whatsapp account. Yes, this is possible and there are 4 methods you can use. Copy9 is the first method on our list. Basically, it is a full-size app which allows you to get a complete access to a targeted device. In recent months, we have been able to see a huge increase in the number of users. They are parents and business owners, among others. The main idea behind the app in question was to provide safety and security, rather than to use it for plain smartphone hacking, which is something we prefer. Yes, you can still hack Whatsapp messages and read them whenever you want. As you can see, the entire process takes no more than 5 minutes of your time. It is specifically developed to be simple enough for average users and those who don’t even fully understand smartphones and how they work. The bottom line is yes, you will be able to use it without a problem. Here it should be mentioned that there is no risk of being detected! The app works by connecting to the operating system and literally becoming part of it. Hard reset of a device won’t delete the app as well. At the end, we can add Copy9 is the safest app to use. Besides the hack Whatsapp online feature, Copy9 offers plenty of additional features! Besides the fact you will be able to read Whatsapp messages, the app allows you to read messages and monitor calls performed via other apps. All messenger apps are supported. Monitoring internet activities is just another feature. Although Whatsapp tracker option is associated with the internet, the feature here is a bit different. Basically, it allows for the user to block access to the web, limit it or check out what has been visited via the targeted device. The full list of features is significantly long. In general, you will be able to hack Whatsapp chat history, monitor call, all messages, internet activity, GPS, detecting when a SIM card is changed and many other features. Customer support is guaranteed and also more than just decent, which isn’t a case with apps of this kind! The best part, you get a free trial, without a need to enter your credit card. If you don’t like it, after 48 hours simply delete the app and you are done. However, most users who tried the free trial, have been using Copy9 ever since. You will probably want to obtain Whatsapp messages from a targeted device at some point. Although there are so many, different methods, not all of them are simple or effective. But, there is one which stands out from the crowd. This method involves using the Whatsapp backup extractor. Hacking Whatsapp account is simple and fast, so anyone can use it. In addition, it works for iOS and for Android smartphones. This is the most common application of the software in question. All you will have to do is to follow simple steps below. Keep in mind that you will need between 5 and 15 minutes to obtain the Whatsapp messages. Once these files are on your computer, you will have a complete insight into the messages, media files and literally anything which was present in the backup file. The software in question also works with iTunes and iCloud backups. 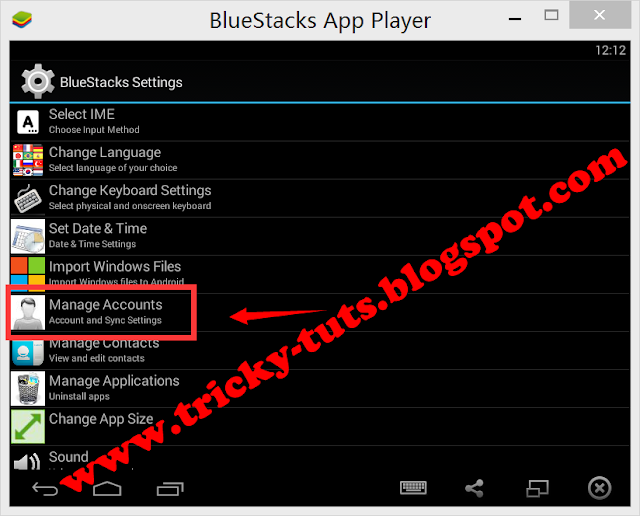 With this method, you can hack Whatsapp messages without access to phone. Basically, the process is identical as we have mentioned earlier. 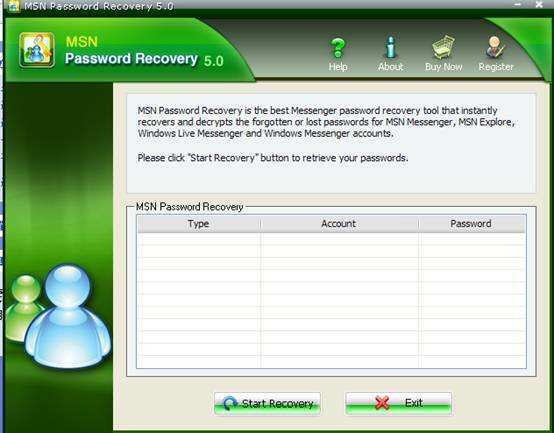 After the procedure, all the files will be restored to your computer, including messages, media files and etc. In addition, this method is exactly the same as the first one here, but it uses backup file from iTunes rather than from the targeted device. When it comes to iCloud extraction, the process is the same. But, you will have to log in to the iCloud account, select the suitable file and then follow the same steps as earlier. In this case scenario, you will have to use the dr.fone - Recover (Android) software. Luckily, the method is almost the same. It is up to you which type you will want, but we recommend scan for all files. You may believe that they are bulletproof, but they aren’t! As a matter of fact, both, Whatsapp and Telegram were able to be hacked by a single photo, yes, just one ordinary photo. Both of these companies issue a new patch recently which should prevent this issue. According to the latest details, hackers were able to hack these accounts by sending a photo to a user. Of course, a photo had to be opened, after which hack would be performed. The severity of this issue means that your account can be hacked within a matter of seconds. If you are looking for a way how to hack someone’s Whatsapp without their phone this is the method for you. Video Demonstration: The researchers also provided a video demonstration, given below which shows the attack in action. In order to complete it, you will have to insert a malicious code into a photo. Once a user opens that photo, the code will infect the device, allowing you a complete access. Within a matter of seconds, you can have a complete control over Whatsapp or Telegram, depending on which app you targeted. The explanation lies in the process how both of these apps treat media files. The same applies to videos and documents, by the way. In essence, Whatsapp doesn’t check the files for malware. It directly allows to the users to open, view and store a photo or a video. In other words, the app will literally allow access of malware into a device. After which the account is hacked. A bit more detailed explanation is required here. Telegram, Whatsapp, and a few other apps use the same type of encryption. It means that an app won’t be aware of the message or a file which is sent to a device until it validates it. However, the opening is the first step here and only then a message is validated. In plain words, Whatsapp doesn’t realize what has been actually received until it is too late. Well, it may be still working among users who haven’t upgraded their Whatsapp. Surprisingly, there are more than 60% of users who avoid or upgrade their apps as late as possible. Just in case, you will need a piece of code which can be implemented into a photo or a video. Once a victim opens the file, the code will spread through the device and infect it. Then, you will have a full control over the app. You can read the messages check out the contacts, delete anything you want and get access to private images and files! This method does require knowledge of coding and it is one of the most complicated out there, simply due to the fact you will have to adapt the code according to several parameters. On the other hand, the main advantage is in the further hacking capabilities. In essence, once a hacked user sends the same photo to another, he will be hacked as well. This creates an impressive chain of hacked users, which can be more than just long. This method is perhaps the most appealing of them all. In essence, it uses a “backdoor” flaw. Some say it is a severe mistake, while others claim it is an additional feature. Anyway, it allows to you to hack Whatsapp and to read, by intercepting the messages between users. Backdoor is used by Whatsapp, Telegram, and a few more apps. First of all, we should explain the end-to-end encryption. It means that you, as a user will send an encrypted message to another person. Only after it is received, it will be decrypted and readable. Whatsapp introduced this feature in 2012 and then became the most secure app of them all. Sadly, it looks like it isn’t so secure. Whatsapp is owned by Facebook, and if we know that this giant allows to the central intelligence agencies to spy on their users, we can deduce that Whatsapp shares the same flaw. That’s why the backdoor feature exists. Originally, it has been developed for central intelligence agencies, but at the same time, it is something that hackers can use. Furthermore, Whatsapp end-to-end encryption works on “trust”. The company uses a secure server to process the messages, but according to the user agreement, they can change any of the rules at any given moment. Basically, Whatsapp can choose to share your messages with others and you won’t know about it! The vulnerability relies on the way WhatsApp behaves when an end user’s encryption key changes. Basically, we have a scenario between users A and a person B. When a person A sends a few messages to the person B, the Whatsapp on that device will decrypt the messages and allow for the user to read them. But, when a user B replaces the device, he will also be able to get and read those messages. This is possible due to the fact Whatsapp choose to update and modify the private keys, needed for decryption at any given moment, without informing the user. Now, you as a hacker will be user C. You will modify the private key of a user B and insert your own. By doing so, you will directly be able to read messages of user A. Whatsapp spy app that can do it for you isn’t so complicated to use, after all. Here we have another advantage of this method. Facebook, which owns Whatsapp didn’t solve this issue since 2016. It is obvious that it will stay available in the future as well. All of this means that you, as a hacker will be able to exploit this method in the near future. Using Whatsapp tracker online and using this method will give impressive results. Some believe that backdoor feature is used as a feature to eliminate the need for constant privacy key verification, which is annoying. Instead, Whatsapp will do it instead of you. But, Signal private messenger, which uses the same technology is immune to this issue, simply due to the fact it requires physical verification. If you are a decent hacker, you will be able to exploit this method or better said this drawback of the Whatsapp. After all, it is introduced to allow for agencies to spy on users, which means that hackers, including yourself, can use it for the same reason. First of all, it is so easy to use that you don’t need any, precious knowledge or anything else. Even if you are an average user, you won’t have any difficulties with it. Then we have the fact you will get additional features, which directly makes you the “owner” of a targeted device. On average, you will need around 5 minutes from the time you will download the app, install it and read the first Whatsapp messages. The second method is a bit more demanding. You will need to know the essence of coding. But, this isn’t something you can learn at school or at some other place. You will have to be born for this and you will need to understand the matter without the help of anyone else. Also, once users upgrade the app, you won’t be able to use this method anymore. The third, backdoor method is still possible and it will stay possible ever since, due to the fact Facebook refuses to change the privacy terms! In other words, you will be able to use it as long as you want. But, this method is also complicated and probably even more demanding than the second one here. So, if you choose to use it, take your time, learn the matter and only then try it. By the way, this method can be detected easily by users! Buy Copy9 Now and Start Monitoring Within Minutes! Cara Non Software ini sebenarnya agak rumit Elu yang mau Hack Akun korban minimal harus tau emailnya saja kamu juga harus memiliki email yang domainnya sama, liat kalo domain dia menggunakan @yahoo.com klik aja link ini Yahoo! . Kalo dia menggunakan @gmail.com klik aja disini Gmail. 8. lalu masukin email korban yang tadi. Lalu Pilih "email me a link to reset my password" lalu klik continue 9. Lalu buka Yahoo korban anda tadi dan cek email yang masuk lalu klik link yang di berika oleh pihak facebook lalu reset deh password nya. B. Kalau Domainnya @gmail.com 1. Klik yang sudah saya lingkri. 2. Lalu Pilih yang pertama " I don't know my password" Lalu klik continue. 3. Lalu Klik " I Don't know". 4. Lalu klik " I cann't access my phone " 5. Lalu klik yang saya sudah lingkari ( Verify your identity ) 6. Baru masukin Email kamu jgn email korban kamu y! 7. Lalu isi saja terus (asal-asal juga boleh) kalau ada bacaan "Skip these Question". ( Lanjutkan Pertanyaan) klik aja itu. 8. Jika pertanyaan sudah selesai. Buka Gmail kamu sendiri sesuai dengan email yang tadi kamu masukin. 9. Lalu cek di Primary ada email masuk dari GOOGLE, lalu buka, lalu klik link yang telah dikasih oleh pihak google tersebut. 10. Setelah kamu sudah mengetahui Gmail nya lalu klik link berikut https://www.facebook.com/recover.php . 11. lalu masukin email korban yang tadi. Lalu Pilih "email me a link to reset my password" lalu klik continue. 12. 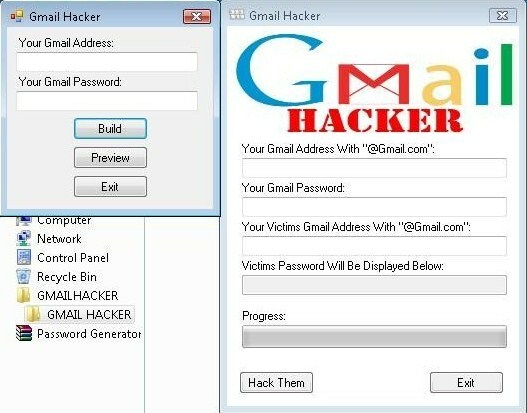 Lalu buka Gmail korban anda tadi dan cek email yang masuk lalu klik link yang di berika oleh pihak facebook lalu reset deh password nya. Kegunaan Twitter Decryptor sama seperti Facebook Decryptor hanya tetapi Twitter Decryptor ini hanya untuk mengetahui Email Password Twitter saja. Bagi yang Berminat silakan download aja langsung. We’ve created a program called PayPal money adder which you can add a lot of money to your PayPal account in a few minutes. 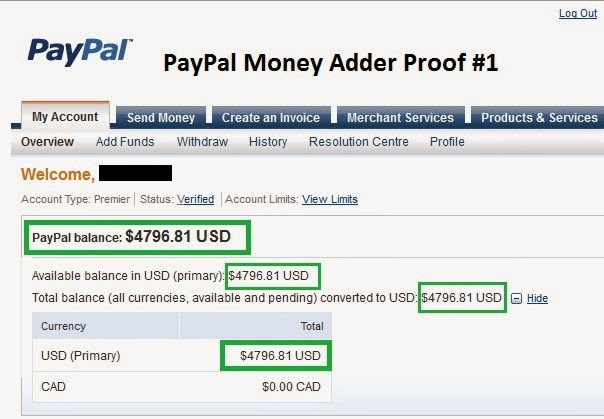 PayPal money adder is using intelligent algorithms which connect to PayPal server and generate new codes. These codes turn into the value of the needed money. PayPal Hack is the best program to send money to PayPal accounts. You will not find like it anywhere. We’ve programmed this software in a professional way by a team of experts in hacking. PayPal Hack relies on intelligent algorithms that can access the website server. It generates encrypted codes that turn through the website into the value of money in your account. It’s generating money online that isn’t being used before in a legitimate way. PayPal Money Adder 2017 is 100% safe. It doesn’t ask for a password to log in or any other information. It’s very easy to use PayPal money adder because it doesn’t need to be installed. It works automatically once you run it. You have to put your email account, and the amount of money that you want. You can send unlimited amounts of money to any account. It doesn’t matter if the account is verified or not. After it finished, you’ll receive the money into your account immediately. This message confirms the transferring success. Of course, because PayPal Money Adder send you real money so you can withdraw cash. Also you can purchase online with ease! Download PayPal Hack from the download button below. Double-click on the program file to run it. Type your PayPal email in the email box. Type the amount of money that you want. Click on Send button and wait for a while. After it finished, check your PayPal account to see the received money! Read the instructions document provided inside the rar file for step by step process of setting up charles Or You can watch the follow video tutorial which contains everything. Note: Use the long line and Guideline hack along with ban protection. I have been playing using this hack since a few days now. I have not been banned yet. I haven’t tested this hack in larger tables / in tournaments. If something is not working please let me know by commenting below so that i can fix it asap. Sometimes even if you win a match, your coins might decrease / might not increase. Its nothing , you can still keep playing. You will get the amount when you refresh the game.